Makes a perfect gift! – Fun and useful! – Might even save your life! 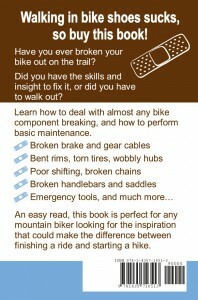 Learn how to deal with almost any bike component breaking, and how to perform basic maintenance. 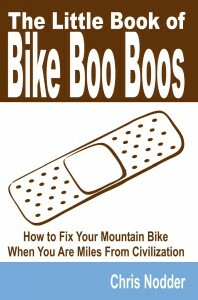 An easy read, this book is perfect for any mountain biker looking for the inspiration that could make the difference between finishing a ride and starting a hike. 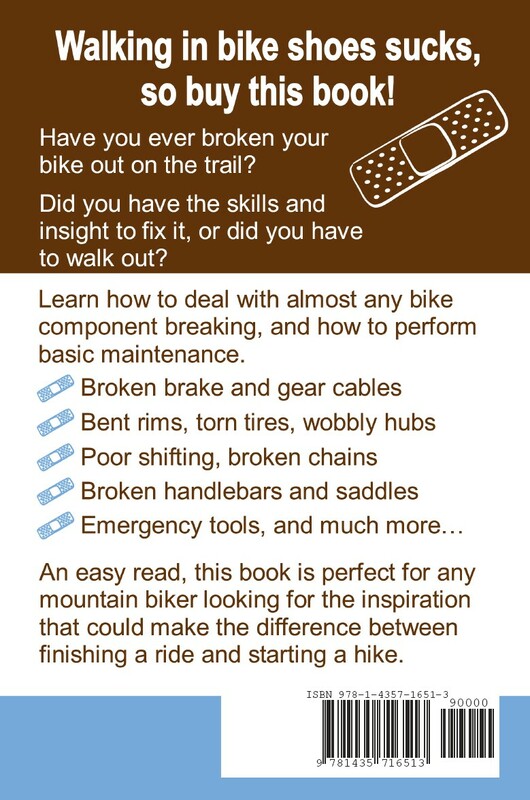 Read how to mend broken brake and gear cables, squeaky and misaligned brake pads, bent rims, punctures, torn tires, wobbly hubs, poor shifting, broken chains, broken handlebars and saddles. Find out what common items you can use as tools and repair components in an emergency, and learn how to keep your bike from breaking in the first place.